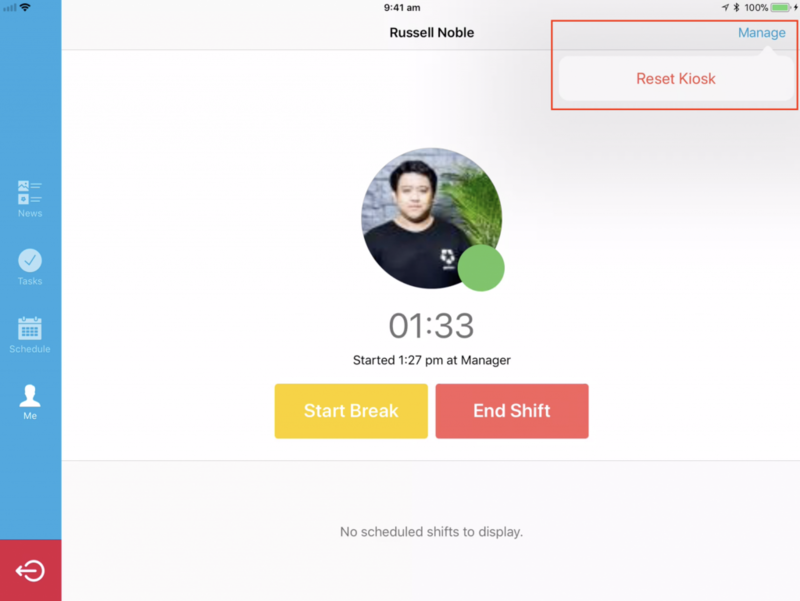 Resetting the iPad Kiosk allows you to troubleshoot most problems that arise from the Kiosk. 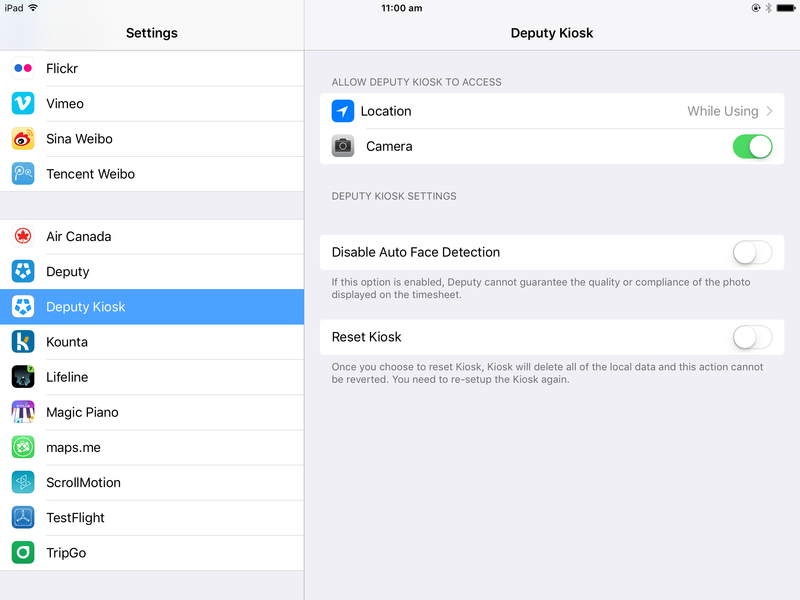 To reset iPad Kiosk, you'll need to be either a System Administrator or a Location Manager. Additionally, as a Location Manager, you will be restricted to setting up a Kiosk at a location you have the permission to work at. To reset the kiosk, open up the Kiosk and log in using your PIN. Now tap 'Manage', which will reveal the option to 'Reset Kiosk'. Tap this. You will be asked to confirm the Kiosk Reset. 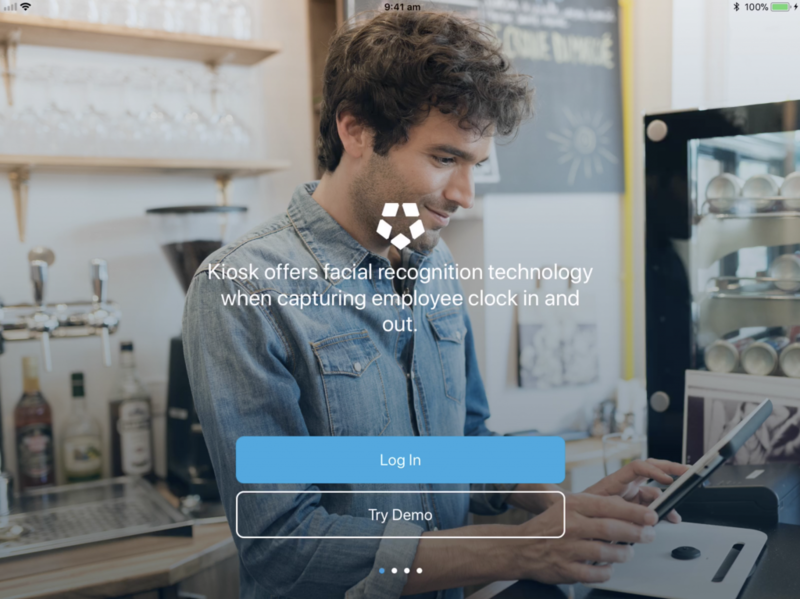 This will reset the kiosk and return you to the kiosk login screen. This will bring you back to the log in screen, where you can log into another account/location. 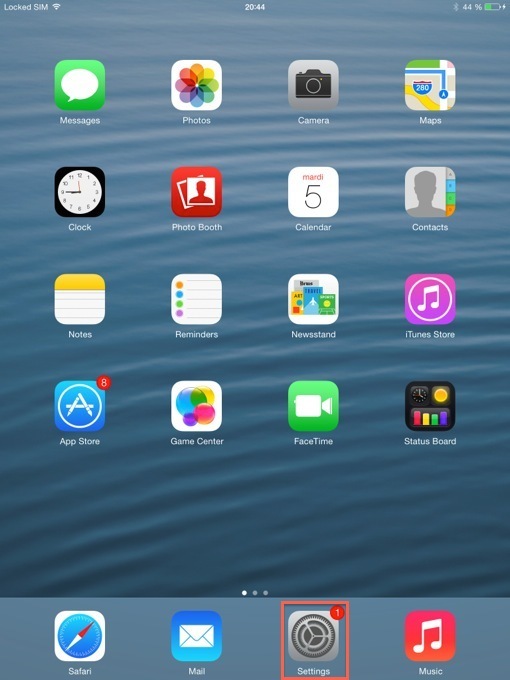 First, please go to your home screen by pressing the Home button on the iPad. Next, please click "Settings". 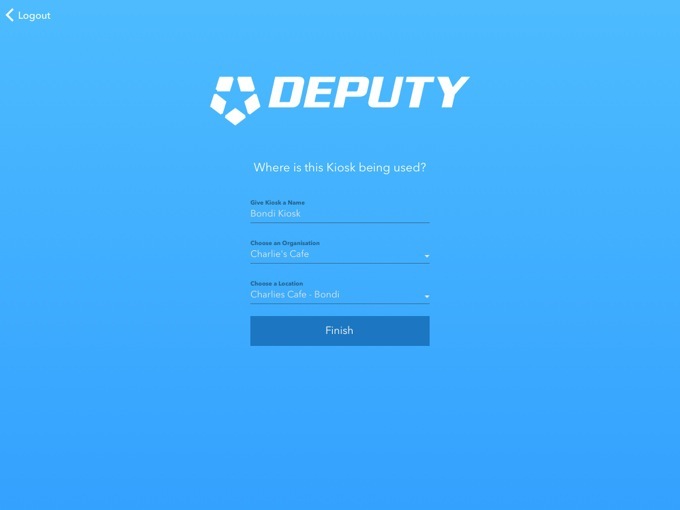 After you enter your Settings, please find the icon in the list to the left that reads "Deputy Kiosk" and select it. 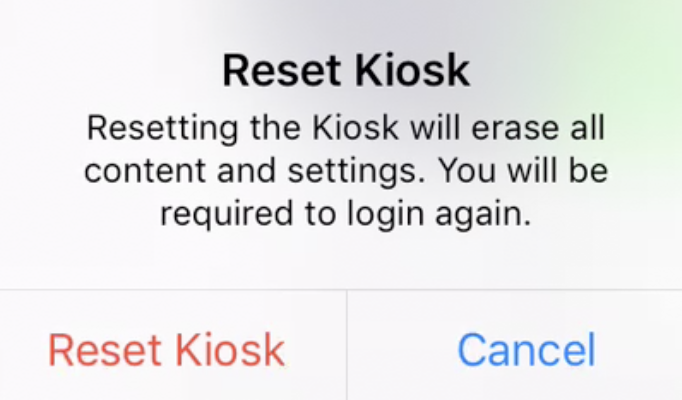 In the Settings that will appear to your right, please look for "Reset Kiosk" and click it. The slider will turn green. Now, please re-open the Kiosk App, which will take you to the log-in screen. 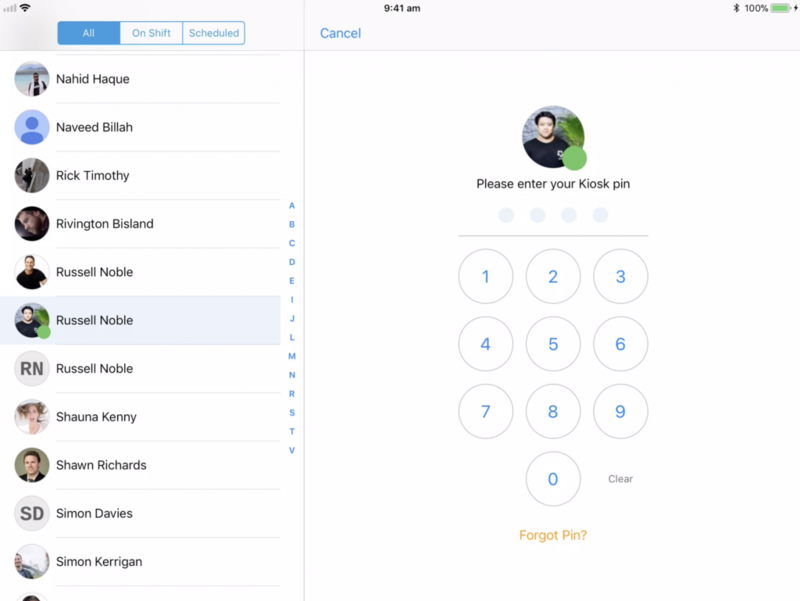 Once you log back in, you will be taken to the setup screen.